The Catholic church at the centre of a controversy surrounding where a monument to the victims of the Enniskillen Poppy Day bomb should go has cited a list of reasons for its opposition, with health and safety concerns among them. Relatives of those killed and survivors have asked a memorial be placed as close to the site where the bomb went off in November 1987. In November 2017 a monument to the 12 people killed in the IRA attack was removed from this position hours after its unveiling. The site is owned by the St Michael's Diocesan Trust, which faced criticism following the removal - with speculation the action had been politically motivated. A statement posted to the website of St Michael's Diocesan Trust said it was "mindful of the horror and outrage experienced across the community" caused by the attack, and its objection was based on considerations around public access, maintenance of the monument, and ongoing public works in the centre of Enniskillen. It also noted plans for a monument to victims was included in proposals for the regeneration of the Clinton centre. 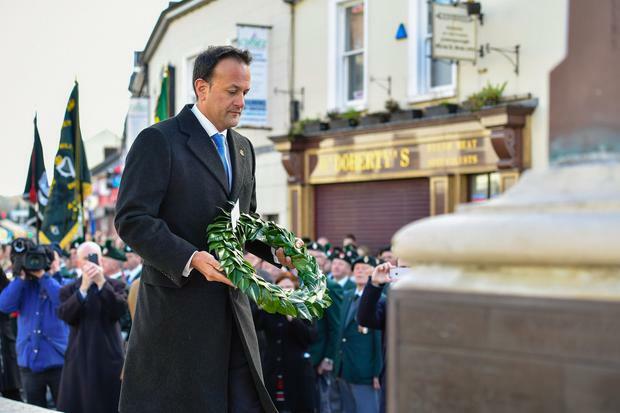 The Trust said it had been notified by the Ely Centre, a charity focused on helping the victims of the Troubles in Fermanagh and Tyrone, of its intention to place the memorial on the site, but not by the council that planning permission had been granted. Speaking following the removal, survivor Stephen Gault - who lost his father in the attack - claimed the action had taken place due to the presence of a single poppy on the memorial. In its statement, St Michael's Diocesan Trust said it was "very clear" it had "no objection to a permanent memorial being erected to the victims of the Enniskillen bombing" but that "a number of issues would have to be considered and that this would require time". On public access, it says the size of the memorial and footfall from the public makes the location "unsuitable from the point of view of the health and safety of the public". On the upkeep on the monument, the Trust states it can not be assumed the Ely Centre will not "continue to exist in perpetuity to take full responsibility for the ongoing upkeep, security and sustainability of the memorial", and that having the monument in place could prevent any future redevelopment of the site. It also says the monument could interfere with a plans for the redevelopment of Enniskillen town centre, with questions about how this would impact "traffic flows and pedestrian footprint trajectories, together with the location of nearby businesses, schools, public buildings and homes, future streetscape works". 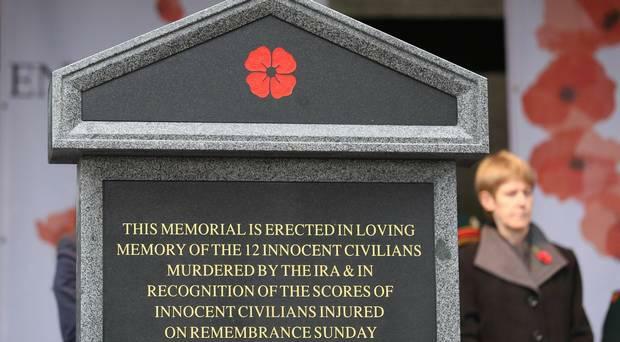 Responding to the announcement, Jim Allister said: "I am disappointed by the decision of St Michael's Diocesan Trust to reject the memorial to the Poppy Day Massacre. Having written to Monsignor O'Reilly back In November and having not yet received a reply I am not terribly surprised. “It is telling that in the new Belfast Agreement Northern Ireland we have a play park named after a man arrested in possession of a gun used in the Kingsmill Massacre and countless memorials to IRA terrorists, none of which seek planning permission and are allowed to remain unmolested by land owners or the authorities yet we have a church refusing permission for this memorial.